When choosing a web hosting service provider you obviously consider factors like price, features, and speed. Most existing third-party reviews of Hostinger, including e.g. this one by Satori, already seem to agree this provider ranks high on these factors. 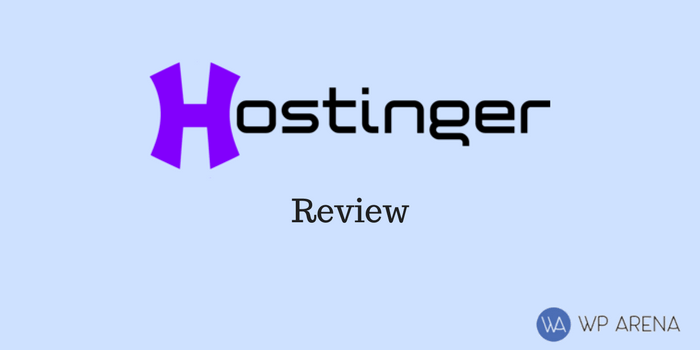 This review offers a quick rundown of the hosting services offered by Hostinger. The review also offers a brief yet comprehensive description of each package. The goal is to help buyers discern whether or not the hosting services by Hostinger are worth investing in and how to go about picking an ideal package that best meets their individual hosting requirements. Hostinger offers multiple packages for users with varying needs. Every package comes with a unique set of features for simplified setup process. Higher tiers offer larger SSD disk storage space, making them perfect for larger/multiple websites. All packages also come with a 30-day money back guarantee. That way, you have a whole month to evaluate the service. A full comparison of each tier can be found on the Hostinger pricing table. Hostinger even has a comparison with other hosts like Hostgator vs Bluehost using this handy table: Bluehost vs. Hostgator vs. Hostinger. For independent reviews of the service, you can visit the Trustpilot review page for Hostinger. Single Web Hosting offers 10 GB of storage space and a 100 GB bandwidth allowance per month. It’s enough for hosting websites with plenty of images, audios, and videos. Additionally, it comes with weekly automated backups to keep the website updated in the rare event of data loss. The users also have full access to the automated script installer and powerful web builder software to get the site up and running quickly. This package does not come with a free domain name so you’ll need to purchase one first. An SSL certificate is available for $9.99 if you require secure data transfer. This package is ideal for users with multiple websites who seek faster performance for high traffic websites. For a little extra fee, you get unlimited SSD storage, unlimited number of databases, and email addresses. SSD disk storage and increased WordPress optimisation (3x speed boost over Single Web Hosting) means the website remains highly responsive even with a lot of plugins running. This package is perfect for medium traffic websites that need help serving pages quickly. The premium package allows you to create extra email addresses for sales, support or even an auto-responder that sends information to the buyers. Splitting various parts of the sales process into different email addresses makes it much easier to deal with the various independent parts of the sales process. It allows multiple websites hosting at no extra cost. You can host your portfolio on one domain and a store on another. Installation of another WordPress blog is also supported. Premium Web Hosting comes with 1 free domain name to further reduce the total cost of running your websites. An SSL certificate is available for $9.99. This hosting package offers daily backups; not weekly thus offering better protection to the files and MySQL databases. Business Web Hosting comes with a free SSL certificate which comes handy while handling customer logins and payment processing. As with the Premium tier and Business Hosting package offers unlimited websites with unlimited SSD storage space and unlimited bandwidth. The real benefit comes from improved performance. It combines the SSD disk storage for your files, doubles the server processing power and memory, and more significant WordPress optimisation (5x speed improvement over Single Web Hosting). All that makes Business Web Hosting the best package for high traffic websites. Business Web Hosting also comes with a free domain name. 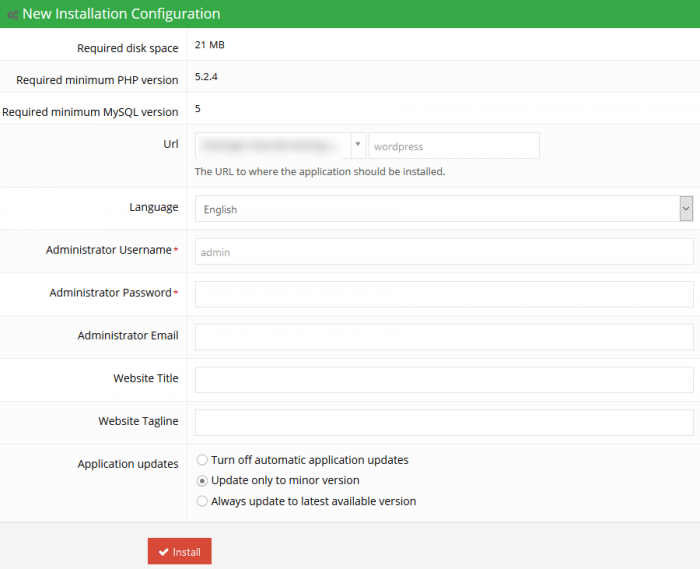 All hosting packages come with access to a cPanel admin center. You can see all the information about your hosting package on one page (Account -> Details) such as nameservers for your domain, email, and FTP details. Single Web Hosting comes with one MySQL database. The other two packages bump it up to unlimited. It means you can install any number of WordPress installations. I’d recommend one extra installation for live performance testing. Typically during development, you’ll create your website using local server software and later transfer the final product to a live server. A local server on your own computer doesn’t give great insight into how the site will perform when it goes live. FTP and email access are available to all tiers, with Single Hosting allowing only one user/account for each. As with MySQL, stepping up just one hosting tier gives you unlimited users for both FTP and email addresses. If you want to get up and running as quickly as possible, you can use the intuitive auto installer for WordPress (or one of the 40 other Content Management Systems on offer). You also have access to e-commerce software, forums, survey builders, photo and file managers, and more. WordPress is a complicated piece of software with many moving parts that have to be processed when loading a page, so it is perfect for testing real-world performance of a web hosting package. For these tests, I’ll be using GTMetrix and WordPress 4.8.1 installed on Premium and Business tiers, as those are the packages mid to high traffic websites will require. GTMetrix chose Vancouver, Canada as the testing location and Firefox browser for both tests. Both Premium and Business tiers are using PHP 5.5. Premium Web Hosting scores very highly on page speed. With an A rating and 97% rating, it sits well above the average score of 71%. Reaching the server and receiving data took 483 milliseconds, creating a visible page in approximately 1.1 seconds. The header image of the default WordPress theme, visible in the screenshot above, was the largest file retrieved and added significantly to the load time. It’s 2000×1000 px and 128kb, far above the size of a normal header. As with Premium, the page speed scored a 97% A rating, however, the fully loaded time is almost half the Premium tier’s score. Reaching the server and receiving data took only 223 milliseconds, creating a visible page in just less than a second. In real-world applications, an improvement of almost a second can be the difference between losing and gaining a customer. As a site becomes more complex and adds its own optimisations, the difference becomes more noticeable. Visitors expect the best and will appreciate the enhanced performance. Simply installing the WP Super Cache plugin reduced the final page load speed to 0.553 seconds. The promised speed boost for WordPress is clearly delivered by both packages, and when combined with further WordPress optimisation such as caching local files or using a Content Delivery Network, the performance is unbeatable for your money. With performance guaranteed to be top notch, it’s time to get on to installing WordPress. As mentioned previously, all hosting packages come with access to a simple and intuitive auto installer for software including WordPress. The auto installer does the majority of the work for you, including creating a MySQL database, plus a username and secure password for it. All you need to enter is a username, password, and email address for the WordPress Admin Control Panel, plus a title and tagline for the site. WordPress boasts a famous 5-minute install – this takes that down to 30 seconds. After clicking the install button, you instantly have a clean install of the latest version of WordPress. Various methods of technical, sales and pre-sales support are available. Whether you are just beginning and need help getting set up or have an important technical question, v. The live chat feature of hostinger.com allows you to leave offline messages out of business hours, and Business Hosting grants you access to deluxe live support. Aside from the live support, there is also a knowledge base covering pretty much everything issue that could come up. If you want to learn what WordPress is or just need help getting it set up, you can check out the WordPress introduction tutorial which is part of an extensive tutorial library. If you’re looking for solutions to common problems or want to learn more about WordPress and web development, you will find it there. Hostinger delivers on their claim of high-performance web hosting at competition beating prices. The easy to use admin panel lets you get up and running within minutes of purchasing a package and removes all the hassle of setting up databases, usernames and passwords. The extensive support structure makes it quick and easy to diagnose and solve common issues. If you’re looking for WordPress hosting specifically, the feature set is perfect and the page load speed is exceptional. Previous Post weForms Review – Create Contact Forms In Easiest & Fastest Way! Yes this is a nice review. I have been using hostinger for a while now and it’s a great web hosting provider. Their SSL are very cheap and live support is friendly and knowledgeble. I am using hostinger from last 1 years and its just amazing. It provides unlimited hosting with lots of features in a very fair price. It offers agood values and gives secure access to different sites.